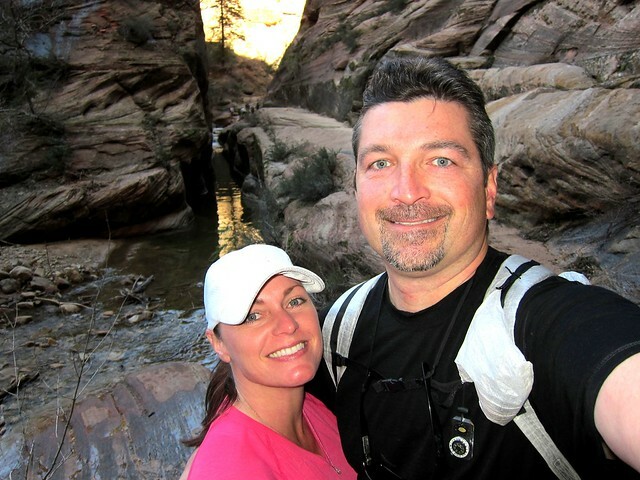 Mountain UltraLight: Observation Point, Zion National Park - Breathtaking! 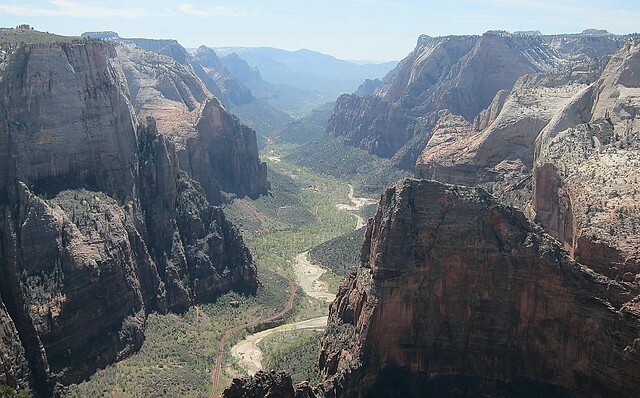 Observation Point, Zion National Park - Breathtaking! 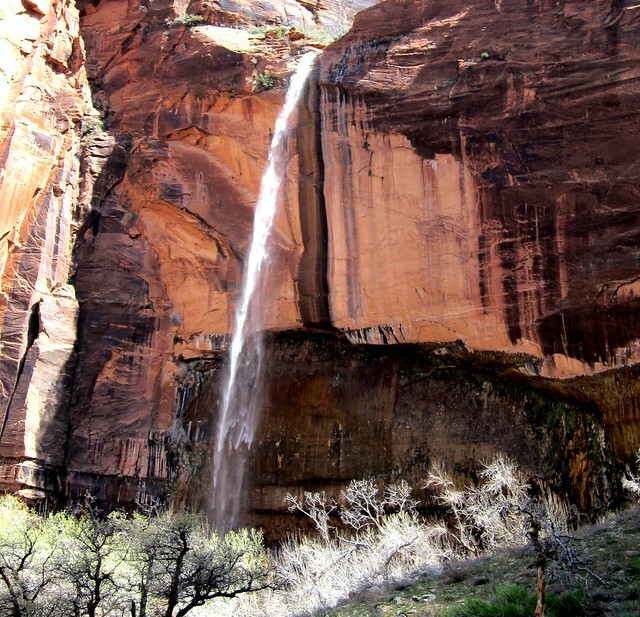 Waterfalls, they're just falling water, so why are they so inspirational? 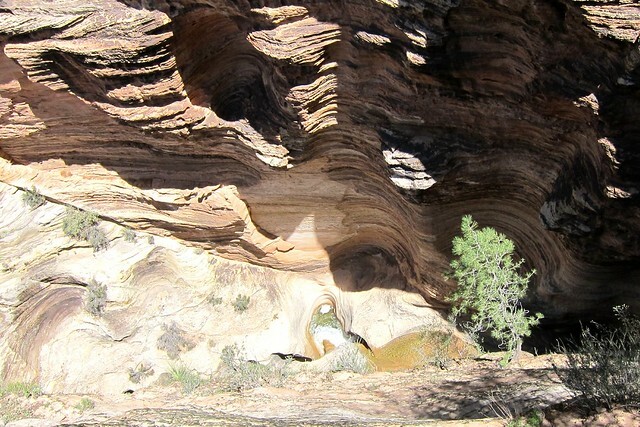 As the trail heads into the canyon, look to your left over the edge to see a maze that flood water has carved over the years. 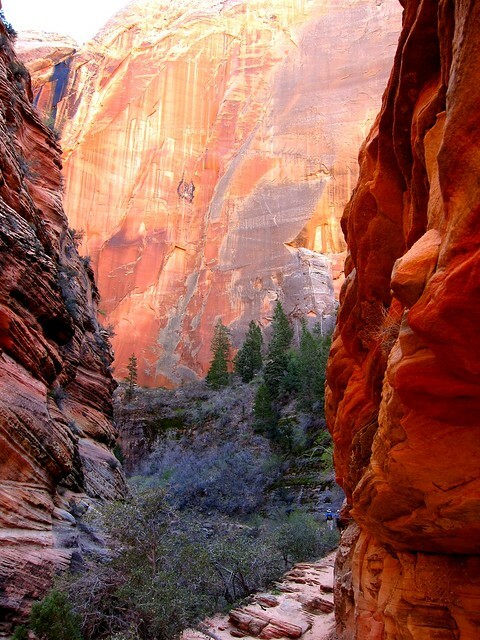 The canyon walls almost seem to glow like the colors of an oil painting! Be careful not to get your feet wet (like we did) while navigating this stream crossing. 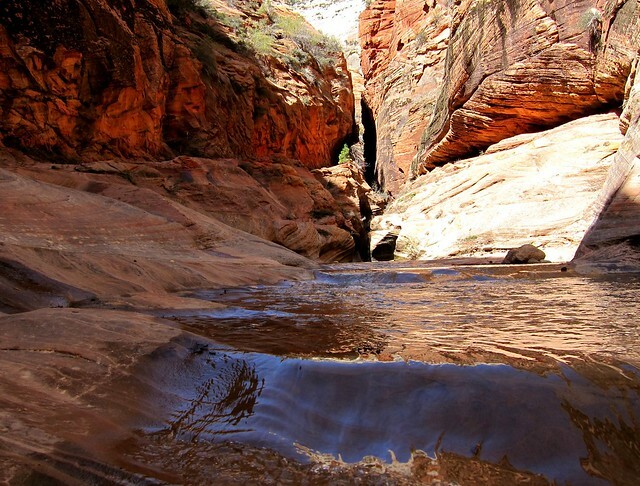 You just might find yourself stopping to admire the dark canyons along the way. A nice valley with views towards the east entrance of the park. 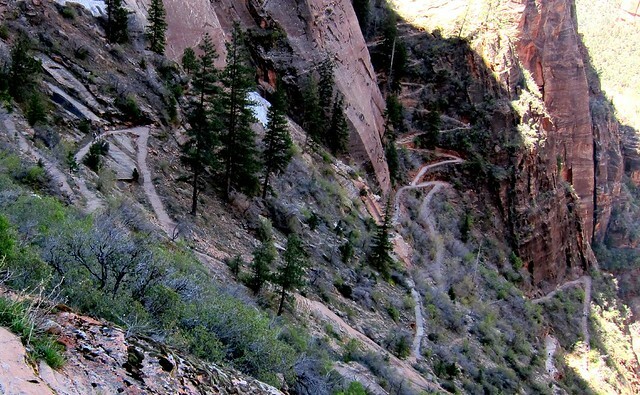 As you climb the steep trail, you get a sneak peak of what's to come. 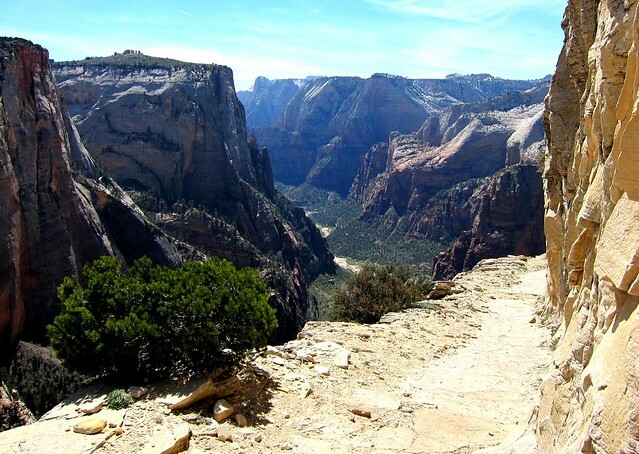 Portions of the trail, although plenty wide, have lots of exposure which can be nerve-racking to people with a healthy fear of heights (like me)! 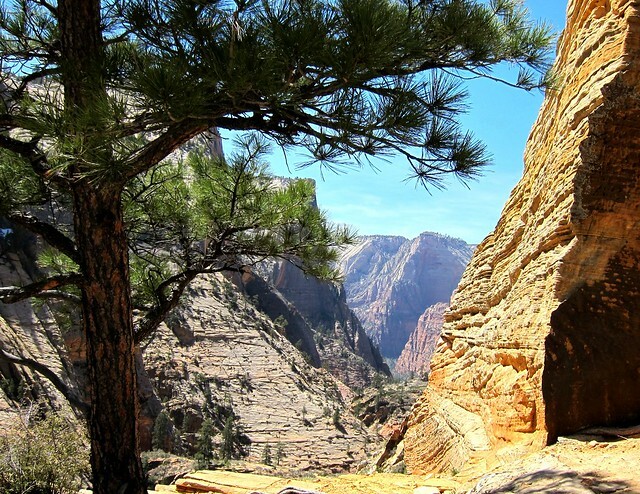 Once you make your way to Observation Point you are treated to this unbelievable view down Zion Canyon. 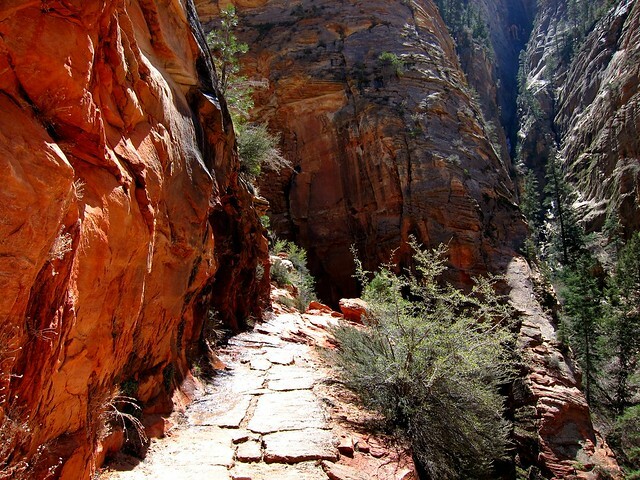 Jutting out from the right is Angels Landing, another rewarding day hike with chains to hold onto in the exposed sections, leading you to the end that would otherwise be most dangerous to get to. 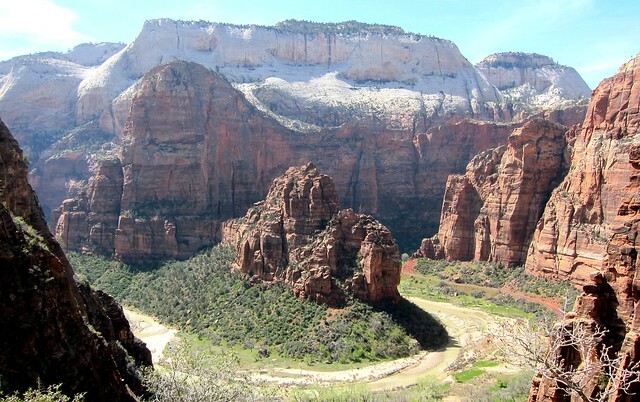 The breathtaking views go on and on, making this one hike you won't want to miss! Stunning indeed, would love to visit it! Magnificent! I would love to go back to Utah! It's the most other-worldly place I've been. Awesome pictures - thanks for posting them! Hey! I passed you guys on your way out of the woods around LaVerkin Creek, I was carrying the overstuffed green Golite Gust, traveling alone. Definitely not my ultralight kit :) Beautiful pictures! Just stumbled upon the site today. Happy Travels! Great photos. You would both love hiking in central Australia (mid -year, too hot at other times). The colours and landscapes are artists' materials. Good photographic oppportunities too. Very glad to get onto your inspiring blog. Chad, I do remember the Golite in our way out...small world! Mary, we would love to go to Australia, it's on our list. Thanks to you my friends for your kind comments! John just come across your blog and reading your posts and I must say they are rather good and informative. 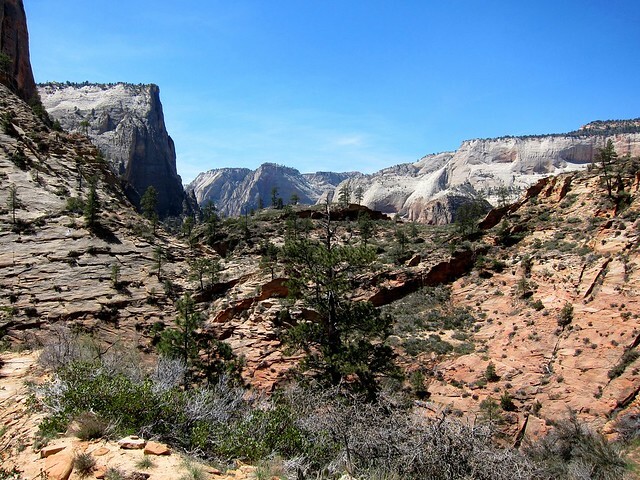 I did some short hikes in Utah a few summers ago when we were over from the UK on holiday. Great photos of breathtaking views you shot. Just subscribed to your blog using Goggle Reader. I look forward to more posts. Actually I'd be love to Image quality.Stunning indeed, would love to visit it!. Good Content. A (not so) UltraLight Rant! Barefoot Hiking - Torture or Bliss?